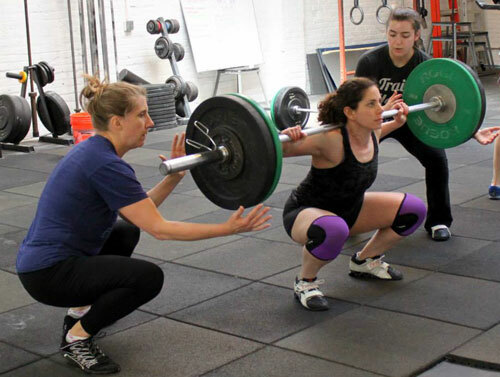 As a CrossFit coach and athlete I had concerns about my ability to return to my sport after surgery, especially since I hadn’t met any other CrossFitters or Olympic weightlifters who have had hip arthroscopy. Dr. Wolff put me at ease both because of his expertise and confidence in his abilities, and also because of his wonderful bedside manner. It was immediately clear to me how much he cares about his patients. He understood how important being able to squat, run, and Olympic lift was to me, and gave me confidence that I would be able to return to the sport I love so much once I recovered from surgery. It is now six months after my surgery with Dr. Wolff, and I can say with confidence that the surgery has been a complete success. Recovering from hip arthroscopy is not a quick process, and it has been a lot of hard work, but every minute of PT has been worth it. Today I am back at the gym totally pain free—coaching and working out, and doing every single thing that I had to stop doing before surgery because it hurt too much! Dr. Wolff and his assistant Alex have been amazing throughout this entire process. His office is very responsive to emails and calls, which really helps to lessen the stress of the already stressful process of undergoing surgery. I really can’t say enough good things about Dr. Wolff—if you are having hip problems and live in the DC area, there is no one better than Dr. Wolff!